Reed, M.G. 2017. Understanding the gendered labours of adaptation to climate change in forest-based communities through different models of analysis. In Cohen, M. (ed.). Gender and Climate Change in Rich Countries: Work, Public Policy and Action. London: Routledge. 199-214. Bullock, R. and Reed, M.G. 2016. Towards an integrated system of communities and forests in Canada. In Teitelbaum, S. (ed.) Community Forestry in Canada: Lessons from Policy and Practice. Vancouver: UBC Press. Pp. 347-367. Parkins, J.R. Dunn, M. Reed, M.G. and Sinclair, A.J. 2016. Forest governance as neoliberal strategy: A comparative case study of the Model Forest Program in Canada. Journal of Rural Studies. 45: 270-278. Parkins, J., Bullock, R., Noble, B., and Reed, M.G. 2016. Forests and communities on the fringe: An overview of community forestry in Alberta, Saskatchewan and Manitoba. In Teitelbaum, S. (ed.) Community Forestry in Canada: Lessons from Policy and Practice. Vancouver: UBC Press. Pp. 136-154. Diduck, A., Reed, M.G., and George, C. 2015. Participatory approaches to resource and environmental management. In Mitchell, B. (ed.) 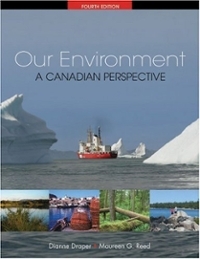 Resource and Environmental Management in Canada. 5th Edition. Don Mills: Oxford University Press. Pp. 142-170. Egunyu, F., and Reed, M.G. 2015. Social learning by whom? : Assessing gendered opportunities for participation and social learning in collaborative forest governance. Ecology and Society. 20(4):44. http://dx.doi.org/10.5751/ES-08126-200444. Reed, M.G., Henderson, A., and Mendis-Millard, S. 2013. Shaping Local Context and Outcomes: The Role of Governing Agencies in Collaborative Natural Resource Management. Human Dimensions of Wildlife: An International Journal, 18(4), 292-306. Klenk, N., Reed, M.G., Lidestav, G., and Carlsson, J. 2013. Modes of representation and participation in model forests: dilemmas and implications for networked forms of environmental governance involving Indigenous people. Environmental Policy and Governance. 23: 161-176. Varghese, J. and Reed, M.G. 2012. Theorizing the implications of gender order for sustainable forest management. International Journal of Forest Research. DOI:10.1155/2012/257280. Article ID 257280, 11 pages. Richardson, K., Sinclair, J., Reed, M.G. and Parkins, J. 2011. Constraints to participation in Canadian forestry advisory committees: A gendered perspective. Canadian Journal of Forest Research. 41: 524-532. Reed, M.G. and George, C. 2017. Just conservation: The evolving relationship between society and protected areas. In Holifield, R., Chakraborty, J. and Walker, G. Routledge Handbook of Environmental Justice. London: Routledge. Reed, M.G. (with Drebert, Y. and Kingsmill, P.) 2016. Sustaining Home: Canadian Biosphere Reserves in Action. Available from the iBOOKstore. George, C. and Reed, M. 2016. Building institutional capacity for environmental governance through social entrepreneurship: lessons from Canadian biosphere reserves. Ecology and Society, 21(1). Reed, M.G., Godmaire, H., Guertin, M.A., Potvin, D. and Abernethy, P. 2015. Engaged Scholarship: Reflections from a multi-talented, national partnership seeking to strengthen capacity for sustainability. Engaged Scholar Journal. 1: 167-183. Subject to editorial review only. Reed, M.G. and Massie, M. 2013. What’s left? Canadian Biosphere Reserves as ‘sustainability in practice’. 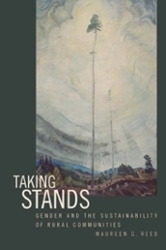 Journal of Canadian Studies/Revue D’études Canadiennes. 47(3): 200-225. Reed, M.G., and Massie, M. 2013. Embracing Ecological Learning and Social Learning: Biosphere reserves as exemplars of changing conservation practices. Conservation and Society. 11: 391-405. Godmaire, H., Poirier-Ghys, G., Guertin, M.A. and Reed, M. 2013. Les réserves de biosphères du Canada : apprentissage social et bonnes pratiques. Éducation Relative à l’environnement : Regards - Recherches – Réflexions, Vol (11): 233-247. Reed, M.G., and Egunyu, F. 2013. Management Effectiveness in UNESCO Biosphere Reserves: Learning from Canadian Periodic Reviews. Environmental Science & Policy. 25: 107-117. 233-247. Iniesta-Arandia, I., Ravera, F., Buechler, S., Díaz-Revirego, Fernández-Giménez, M., Reed, M.G., Thompson-Hall, M., Wilmer, H., Aregu, L., Cohen, P., Dioudi,, H., Lawless, S., Martín-López, B., Smucker, T., Vollamor, G.B. and E.E. Wangui, 2016. A synthesis of convergent reflections, tensions and silences in linking gender and global environmental change research. Ambio 45(Suppl. 3):S383–S393. Reed, M.G., Scott, A., Johnston, M., and Natcher, D. 2014. Linking gender, climate change, adaptive capacity and forest-based communities in Canada. Canadian Journal of Forest Research. 44: 995-1004. Parkins, J. and Reed, M.G. (eds.) 2013. The Social Transformation of Rural Canada: New Insights into Community, Culture, and Citizenship. Vancouver: UBC Press. 21 chapters, 3 interleafs, 414 pp. Massie, M. and Reed, M.G. 2013. Cumberland House in the Saskatchewan River Delta: Flood memory and the municipal response, 2005 and 2011. In Keskitalo, C. (ed.) Climate Change And Flood Risk Management: Adaptation and Extreme Events at the Local Level. Cheltenham, UK: Edward Elgar Publishers. Pp. 150-189. Davis, E.J. and Reed, M.G. 2013. Governing for transformation and resilience: The role of identity in renegotiating roles for forest-based communities of British Columbia’s Interior. In: Parkins, J. and Reed, M.G. (eds). 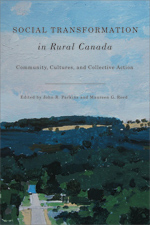 The social transformation of rural Canada: New insights into community, culture, and citizenship. Vancouver: UBC Press. Pp. 249-268.